Here we provide kawaii Unicorn Wallpapers - cute backgrounds 1.1 APK file for Android 4.0.3+ and up. kawaii Unicorn Wallpapers - cute backgrounds app is listed in Personalization category of app store. This is newest and latest version of kawaii Unicorn Wallpapers - cute backgrounds ( com.cuteunicornio.kokowallpapers ). It's easy to download and install to your mobile phone. Download the app using your favorite browser and click on install to install the app, do not forget allow app installation from unknown sources. We provide direct download link with hight speed download. 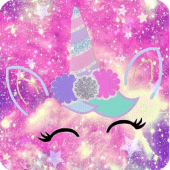 Please be aware that we only share the original, free and pure apk installer for kawaii Unicorn Wallpapers - cute backgrounds 1.1 APK without any modifications. All the apps & games here are for home or personal use only. If any apk download infringes your copyright, please contact us. kawaii Unicorn Wallpapers - cute backgrounds is the property and trademark from the developer keltoumoustyf wallpaper. You could visit keltoumoustyf wallpaper website to know more about the company/developer who developed this. All version this app apk available with us: 1.1, 1.0. You could also download apk of kawaii Unicorn Wallpapers - cute backgrounds and run it using popular android emulators.